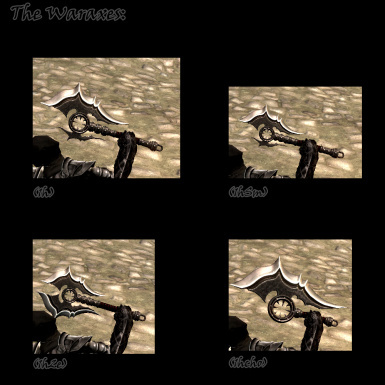 Skyrim Special Edition conversion of wiikki's Liliths Obliterator - Custom Battleaxes Waraxes Maces weapon mod. You must contact wiikki to use this mod's assets in ANY way, shape or form. 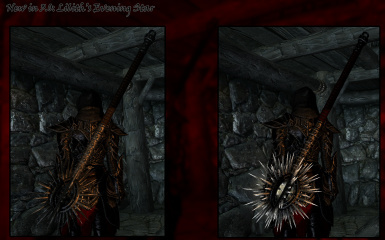 This is wiikki's Liliths Obliterator - Custom Battleaxes Waraxes Maces weapon mod converted to work with Skyrim Special Edition. With permission of wiikki, of course. All credit goes to him. I merely extracted all files out of the .bsa format for better compatibility and converted the meshes to work with SSE. Check out the rest of his mods as well because all his work is great! I will keep this updated to whatever version the original is currently on. With this update, this mod now adds 15 new weapons! 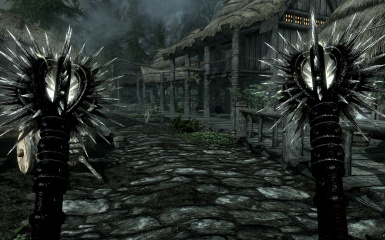 This mod is a remake of wiikki's earlier mod; Lilith's Decapitator. 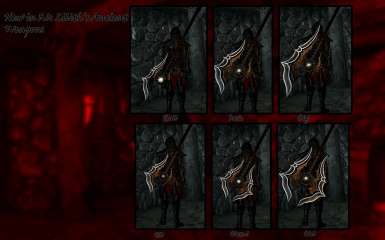 This mod contains 9 (pre-update) new weapons of different shapes and sizes so you may find a weapon that suites your style. All of the battleaxes have the base damage of 28. Otherwise, the stats match Daedric battleaxe (base damage 25). Lilith's Obliterator (2e): Regular version with 2 edges. It's big! All of the waraxes have the base damage of 18. Otherwise, the stats match daedric waraxe (base damage 15). Lilith's Obliterator (1h): The regular waraxe. Quite large as well. Lilith's Obliterator (1hcho): A Chopper special version. Huge! 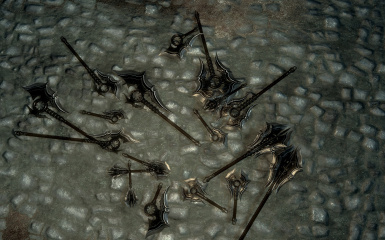 All of the 1-h maces have the base damage of 19. Otherwise, the stats match daedric mace (base damage 16). Lilith's Obliterator (mace1h): A mace with realistic size. Lilith's Obliterator (mace2hsm): A 2-handed mace with more realistic size. 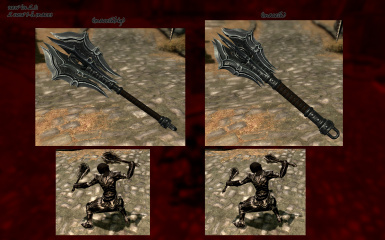 Lilith's Obliterator (mace2hhal): A pretty big 2-handed mace with a long handle. 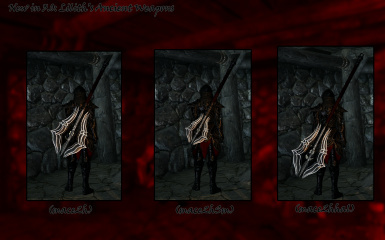 The weapons can be crafted at a Blacksmith Forge with the daedric smithing perk, along with 5 ebony ingots, 5 daedra hearts, and 10 leather strips. 1. Type "help lilith". This gives you the weapon ID list. Install with your mod management program of choice. Or drag and drop the lilithsobliterator3_0.esp and the Textures and Meshes folders into your Skyrim Special Edition Data directory.